Ray Hix - Healing the Subpersonality that Allows Love - 24:10 € 4.75 Buy this Single mp3 ! Ray Hix - Expanding and Balancing Love - 24:05 € 4.75 Buy this Single mp3 ! Ray Hix - Exploring the Jewel in Your Heart - 24:03 € 4.75 Buy this Single mp3 ! Ray Hix - Radiating Soul Love - 23:54 € 4.75 Buy this Single mp3 ! Ray Hix - Receiving From and As Your Soul - 30:22 € 4.75 Buy this Single mp3 ! 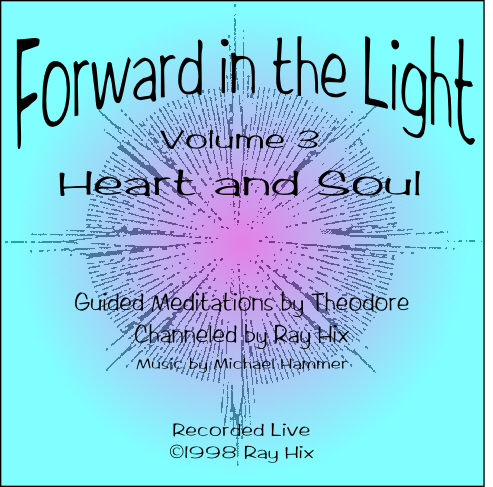 Ray Hix - Bringing Soul & Spiritual Sun into Energy Centers - 27:54 € 4.75 Buy this Single mp3 ! Ray Hix - Receiving in the Soul Planes Journey1 - 30:35 € 4.75 Buy this Single mp3 ! Ray Hix - Receiving in the Soul Planes Journey2 - 27:32 € 4.75 Buy this Single mp3 !